Everybody remembers where they were the day those two hijacked aeroplanes flew into the Twin Towers of the World Trade Centre. September 11, 2001. I’d not long been in a new job after having my second son when my boss ran out of her office and told us all that New York was being bombed. We gathered around her computer (only senior staff had the internet on their PCs back then) and watched /listened (depending on how close to the desk you were) to the atrocities that were happening across the pond. As I listened in horror all I could think of was thank goodness it was thousands of miles away. My boss then looked into all of our eyes and told us all to go home, spend time with our children and that the office was closed for the rest of the day. She was a remarkable leader. I collected my young sons and did what most people did that afternoon. I sat and watched the news, trying to explain to my five year eldest son what had happened in New York. Together we spoke about all of the children who had lost their parents, and parents who had lost their children in those few minutes. 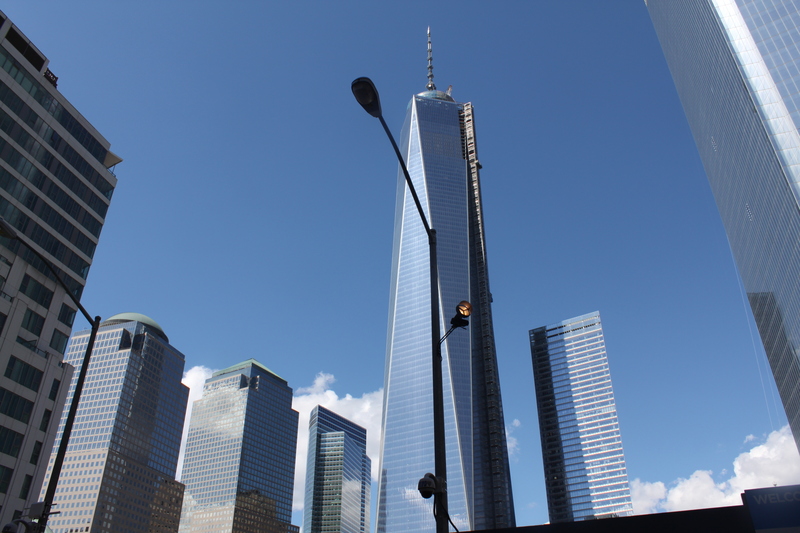 So, nearly twelve years later it felt surreal standing next to the foundations of where those towers used to soar. I wasn’t thousands of miles away now. I was right there, standing in the middle of a massacre site. As I looked up into the sky I tried to imagine what it must have been like on 9/11 and what it must have been like for those thousands of people who were caught in the towers and had no way out. It’s difficult not to visit the memorial and not think about those images that are forever photographed into my mind of the towers on fire, the people hanging out of the windows and those who felt that there was nothing else left other than to throw themselves out from the windows. It could have been easy for the memorial fund to just make the site some sort of tourist circus ground with selling merchandise etc. The ground is anything but that. It is a respectful place of rest for those souls that perished on that fateful day. It was refreshing to visit it and for it not to be exploited as a tourist attraction. Firstly, it is free to enter and the only money you are asked for is a voluntary donation which gives you a wrist band in return. That is all. All money raised through donations is given back to the Memorial Fund. The site of the two towers is very peaceful even though there are crowds of visitors. Everybody is probably thinking the same thing that I was. What was it like being there on that fateful day? 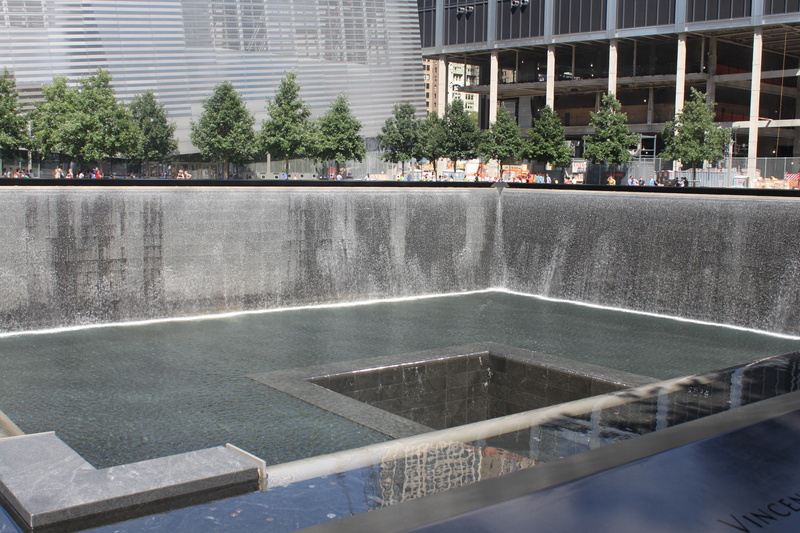 I felt a long way from home when I was standing beside the South Tower reading all of the names on the stone surfaces which surround the imprint of the Towers foundations. Listening to the water falling into the foundations also adds to the serenity of the moment. 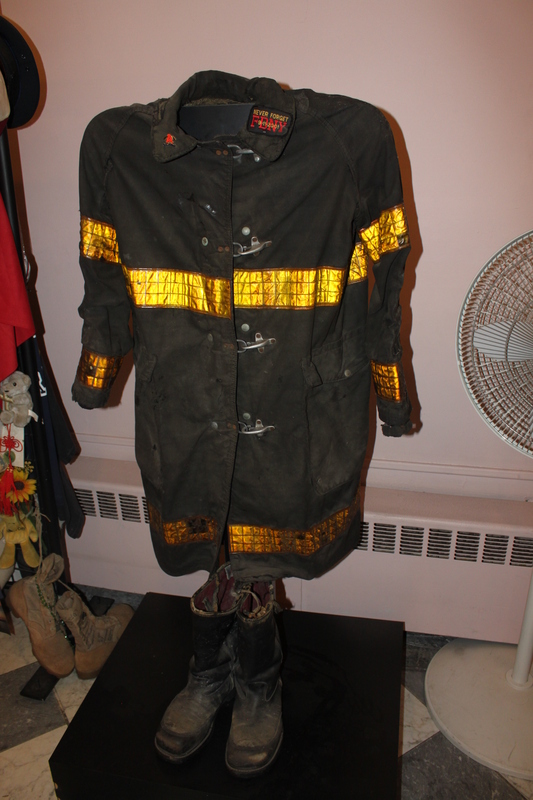 This entry was posted in Blog, USA and tagged 9/11, 9/11 Memorial, blogging, New York, New York City, NYC.